I will note I've bought second hand and had to but an A to B USB for the card. I'm using for capturing from an Xbox One S and my laptop is a HP Pavilion 15 Notebook, Windows 8.1. Installation was fine, everything's working fine. I'm using HDMI to connect and the A2B to my laptop but I'm just getting red "no signal". A problem we thought it may be is that it needs to be 1080i and we can only change the Xbox to 1080/720p? Or could it be something else entirely? I've been round in circles on the forum etc as has my partner. If anyone could help, it'd be hugely appreciated. Hopefully I can help. I've just made a quick fix tutorial for the Roxio setting up with the Xbox One. On your Xbox One, you need to go to settings and change the video fidelity and overscan setting. This needs to be on HDMI as the auto will never communicate correctly with the Roxio device. You can leave your Xbox at 1080p, just record in 720p on the actual software. Usually a fault during installation. Did you leave the usb cable unplugged until after all software & updates had installed? What specs is on your laptop? Graphics card is also important. Yeah I think it is but I've tried everything from reinstall, downgrading Visual CCs and yes it's all unplugged at the moment. All updates are installing fine except Service Update 3, which lags at 99% then I got it to install and has obviously corrupted. After uninstalling to 2012 CC Visuals I am able to get in without runtime error but nothing is actually showing up. I can't even repair as its second hand and no disc, no luck at finding the .msi files. Desktop PC is running Windows 10 Home 64bit. NVIDIA GeForce GT 1030 is the graphics I believe. AMD FX Quad Core Processor, 8GB Ram. Anything else? Download Revo Uninstaller and in moderate mode, uninstall Roxio software then select all & delete the remaining files that's prompted. This will remove any of the corrupt files that appeared during your last installation. Restart computer - turn off anti virus and registry cleaners, these sometimes interfere and try your installation process again keeping the usb cable unplugged until after all service pack updates have installed. Your specifications are similar to mine, you shouldn't need to downgrade visual cc. Am I right in assuming you've been given a legitimate license key when purchased second hand? I've never had to install without the disc so couldn't tell you much more on that part. I'll give it a go, gonna have another crack with a fresh head, we're also going to try copying the install from my laptop as it installed fine on their BUT my CPU couldn't handle it as its an old laptop. And sadly no, it was only the Card itself and one cable - it was their late grandsons so they had no idea really or reused cables. But we got it all working in my laptop minus the CPU problem. All Roxio asked for when I contacted support was model number too. I'll give that a go shortly and get back to you! Ah ok, unique circumstances in receiving the product. 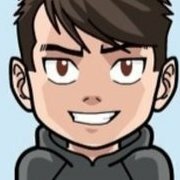 Try the new profile with admin privileges as well on your new computer, also helps avoiding the corrupted files that may already exist and are interfering. I've reinstalled all seemed to go fine, but the capture tab won't open, edit will. Then while into my TV were mostly getting no signal or when we manage it, its small resolution that doesn't fit to my TV screen. My other half is losing his marbles with this as am I, lol! Have you changed the video fidelity setting on Xbox One? It needs to be HDMI as auto detect won't communicate with the Roxio device. 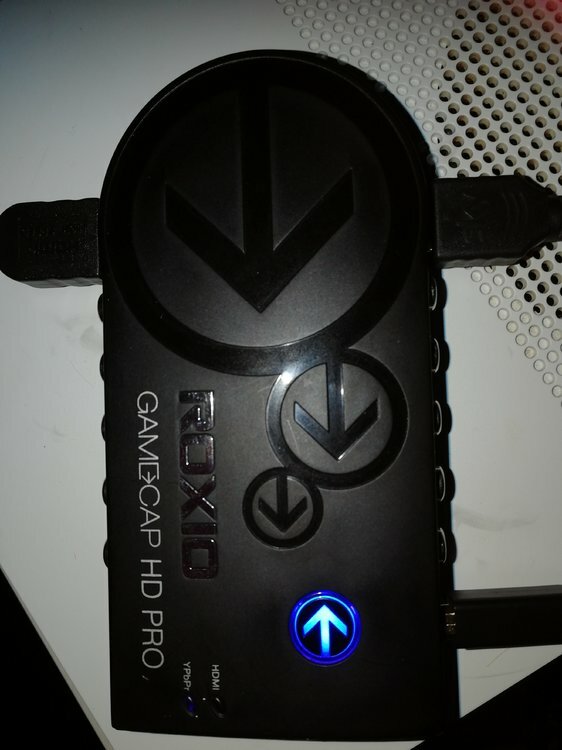 Try and download another program such as Xsplit or OBS and see if the device will load on there, using the Roxio software isn't your only option for capturing. If the drivers are all installed correctly then the video capture should appear on other programs. 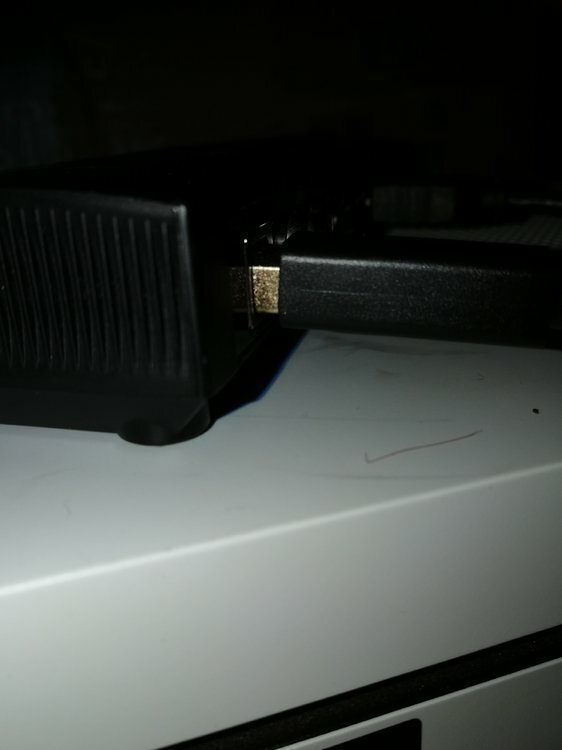 Your Xbox display should still appear on your TV, even with the software not open, as long as the usb is plugged in and the HDMI cables are set up correctly. I think we're getting somewhere, so thank you for replying and helping me out - we've been at it two days total so far LOL and people nagging me for my set up streaming. I changed the xbox settings as suggested before plugging in, now I'm getting a blue screen on my television? I do have SLOBS installed already and waiting for capturing over using Roxio own software anywhere. I think we may be running shortly if I can fix these last niggles! Blue screen is usually when cables are incorrectly set up. Plug them back in, give it a few seconds to detect and restart software or restart computer. On your Roxio software, what's it showing for input and signal? OK I was a dummy and had it in the wrong one in the back lol. So now, it's all fine, showing a signal on my TV so I can see my xbox homescreen BUT the minute I open SLOBS it goes back to bluescreen. The same is happening when we remove the source in SLOBS, we are able to see it on the TV but the minute we add the source again, we get bluescreen. 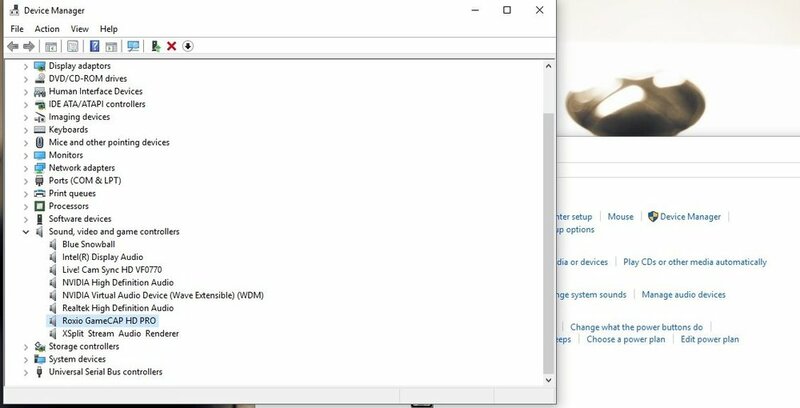 If you go into control panel/hardware&sound then device manager, do you see Roxio HD capture listed in the sound & controllers tab? Should look like the image I've attached. Have you got a different HDMI lead you could try? 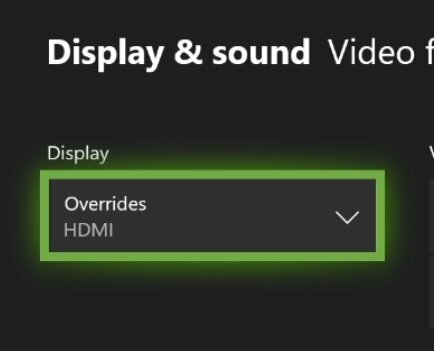 If you've done all the other settings correctly, including the Xbox settings, it might be a faulty HDMI cable. Right it all displays as you've shown. Hdmis are fine as it's displaying on my TV with each (not using the Roxio, it's fine with Roxio plugged in alone while restarting the PC. We're on OBS rather than SLOBS now too. SLOBS uses way too much CPU. The last thing I could possibly think it may be myself, is the cable connecting the Roxio itself to the PC, as we didn't get the original Roxio cable for it and figured out ourselves that it was an A to B USB cable. Is there the possibility I've grabbed the wrong one? That it's too long? I'm attaching an image hopefully! And if that IS the case, recommended cable? Because beyond everything we've gone through I can't see what else could cause an issue at all.